They say that those who fail to learn from the past are doomed to repeat it. Well, those that fail to adapt to the market are in the same boat - especially when it comes to menus. There is one constant in the universe and that is change. It’s evolution. Your restaurant can either adapt or become extinct. Your restaurant menu is not immune to this natural law. 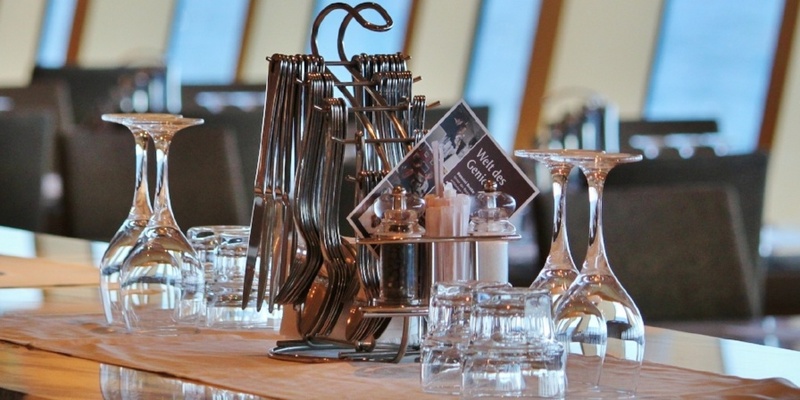 You might have an amazing menu in your restaurant that has served your business well. Guests enjoy the selections and you are making money. But maybe you could do better. Could you maybe adjust a little? Could you maybe make even more profit? Should You Update Your Restaurant Menu? Come on - you know you should update a few items on your menu. So why don't you? Because when something is a should, it only happens when all the elements come together: time, resources, and motivation. Waiting for those three to fall in your lap to be inspired to take action is not the kind of odds you would bet on for long term success. You need to change that should into a must! Let’s explore 3 compelling reasons why you must update your menu now. The palate of your guests is ever-changing. Now, you can be stubborn. You can dig in and make a statement that you don't “follow trends.” That’s cool and noble. However, your guests will get their cravings fulfilled by another restaurant. If nothing else, you should do some research and see what is hot and in demand out there. Follow industry thought leaders like those found on Toast’s annual list of The 35 Best Chefs & Restaurant Experts to Follow. These people spend their days exploring the world of restaurants and food. Why not make it easy on yourself and just tag along? The biggest advantage that an independent restaurant has is its ability to make changes quickly. The big chain restaurants might like a trendy new flavor (think Sriracha), and within a year it’s mainstream. Once a trend has hit your really big chains, it’s usually pretty played out (think Sriracha Shrimp at Applebee’s). Now, there might be some flavor profiles like Sriracha that your guests crave, you’ll just need to think a little outside the box. 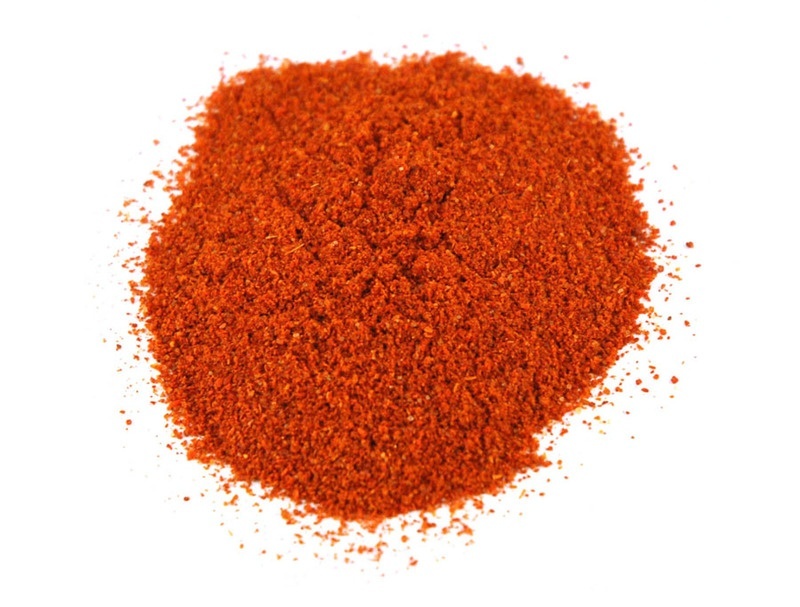 While Sriracha is now mainstream, similar spices like Harissa are a little more on the side and still really pack a dynamic flavor punch for those seeking a little heat in their food (think Lamb Meatballs with Harissa-Jelly Glaze). There are evolutionary restaurants and revolutionary ones. The difference is the speed at which they adapt. Evolutionary restaurants adapt quickly and they can stay a few steps ahead of the competition. Revolutionary restaurants are the ones that set the treads and get copied by evolutionary restaurants. We know that food prices go up and most restaurants adjust for that by raising prices. What do you do when the economy has a deflation? Yikes! The problem is when you notice you are getting a much lower price on something in your restaurant and you don’t “readjust” and pass the market correction along to the guest. Don’t think they don’t notice either. They see the price of items at their local grocery store and most are good at math. The challenge for restaurants today is that Millennials see those prices at the store and think that they could make dinner at home cheaper. If you know you are getting a better price on something why not pass that along to your guests and be open about it? On the other end, there are items that have become so high priced due to demand (think chicken wings) that small restaurants find it very hard to menu those items and make a profit. There are some that even take a loss to be able to offer a high demand item. 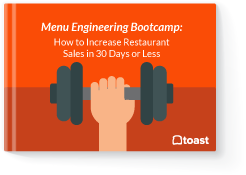 First, remember that your menu is a balance of profitable and popular menu items (check out Toast’s Menu Engineering Worksheet). However, there comes a time when the market just makes it a bad move to keep up with the restaurant down the street that specializes in chicken wings and can buy them at a much lower price than you. Sometimes you have to remember those famous lyrics from the song The Gambler by Kenny Rogers, “You’ve got to know when to hold ‘em, know when to fold ‘em, know when to walk away, and know when to run.” There are probably a few items on your menu that you need to run away from. While chicken wings are popular, there are restaurants that have been exploring making crispy chicken skins (like Chicago Chef Matthias Merges who is a Charlie Trotter Alumni). Remember - you can be evolutionary or revolutionary. Updating your menu also means looking at your beverage menu as well. You need to dig deep and conduct a real analysis to see where you’re priced in your market. Sad to say that many beverage menus do not get the respect that they should have and that has to stop if you truly want to maximize your menu’s profit potential. Is everything priced right? Anything too high? Anything too low? When looking at your menu prices compared to your competition you want to approach it like you are a member of the CSI Forensic Team! Dig deep to get to the truth. One of the many challenges restaurants face this year is the labor market. In fact, according to Toast's 2017 Restaurant Success Report, staffing remains the top challenge to restaurants. With more and more restaurants opening, the labor pool is not keeping pace to fulfill demand. Add on top of that ever increasing demand for higher wages and you have the perfect storm rolling into our industry. Many restaurants will need to rethink their menus and operations if they want to stay in game. Mega-restaurants (200+ seats) and mega-menus (4+ pages) are becoming less common and more of an anomaly. If your labor percent is creeping up (especially in the kitchen) this could be the most compelling reason you need to update you menu now. 1. Look at the number of menu items that come off each station in your kitchen. Is anyone station getting really hammered? Having too many items come off one station can lead to quality and time issues with the food. 2. Dump the menu dogs. If you have done a menu engineering exercise and understand where each menu item falls in stratification (star, plowhorse, puzzle, or dog), then take the dogs off and do not replace them. Don't feel compelled to keep your menu the same size. Dogs on your menu are in that category because they are not popular and they do not contribute to profitability. Keeping a menu item around that doesn't sell or really do anything is like paying a person to stand in the corner and do nothing…not a smart business move. Now this might sound counterintuitive, but paying more for someone with better skills actually reduces labor costs in the long game. A line cook who is worth $17 an hour is far most cost effective than two checked out college kids who make $11 per hour because you need two of them to be able to produce the same work load as the aforementioned all star. 4. Examine each item in your menu for cross utilization. Every item on your menu needs to be used in as many menu items as possible. Sure you love Foie Gras, however, if it is only used on the menu as an appetizer - and given the fact that it's a dog on the menu engineering spreadsheet - it’s time to take it off the regular menu. You can still bring it in for a limited time or for a special prix fixe menu, where you can balance the item cost out with price of the special menu. This might be a great option if your kitchen is especially in need of some new tools. There have been come amazing advances in cooking technology that can increase efficiency of your kitchen line. At the 2017 National Restaurant Association Show, many of the leading manufacturers like Altosham, Turbochef, Rational, and Winston were showcasing new equipment that can cook more efficiently. A chef at a restaurant in Durango, Colorado recently replaced a piece of outdated equipment on his line with a TurboChef oven and found that he only needed one cook to work that station instead of two. He simultaneously increased the amount of items that station could produce, reduced ticket times, and reduced labor! That's a major win for a small restaurant with less than 60 seats where ticket times can help or hurt when you need to turn tables. He has added another Turbochef oven to his line and has seen an increase in sales of those item that come off that station. Times are changing in the restaurant industry. Updating your menu is the perfect place to start. The biggest obstacle most will have to overcome is themselves. The menu can become very personal to chefs and restaurant owners. Taking your restaurant and your menu to the next level does require a transcendence of the self (that means your ego). Your menu is a marketing and profitability tool. Think about it like this: There is the menu you want, there is the menu your guests want, and somewhere in between is the menu you must have to stay in the game.